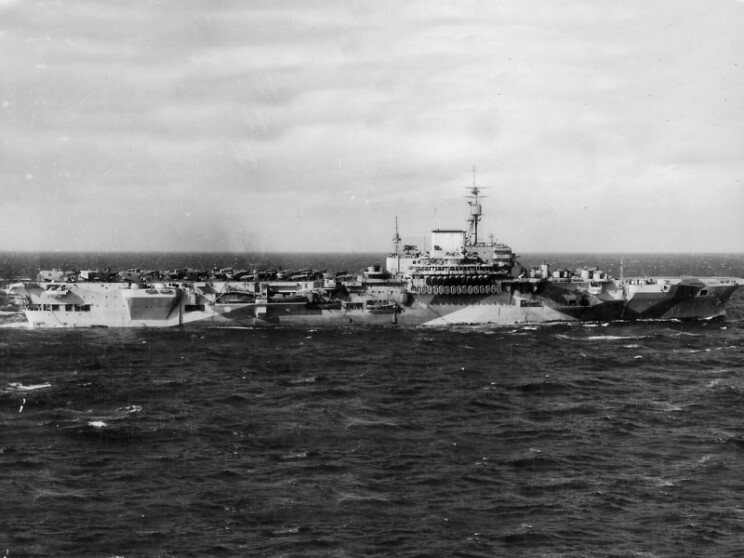 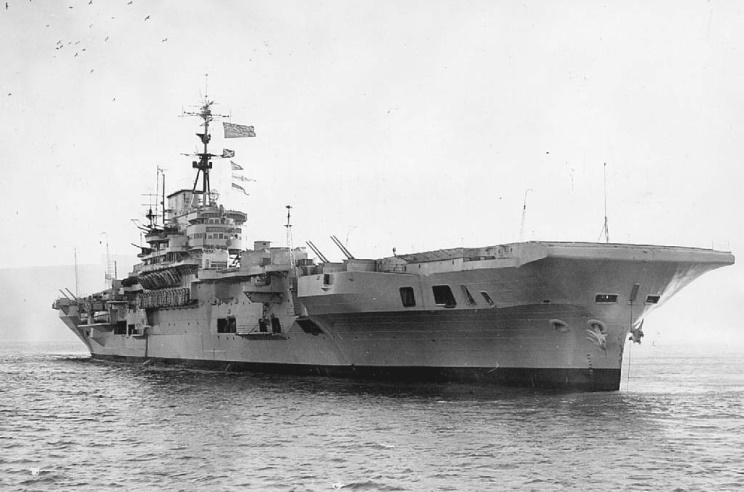 HMS Implacable seen in the Pacific during World War 2. 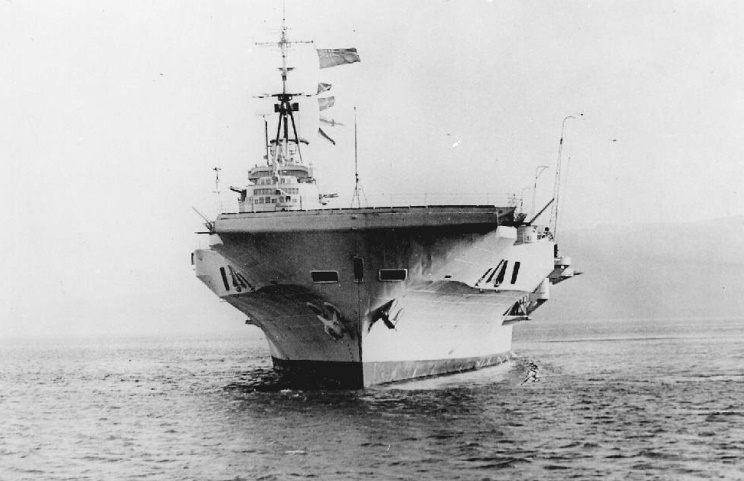 July 24, 1949: HMS Implacable at anchor, location unknown. 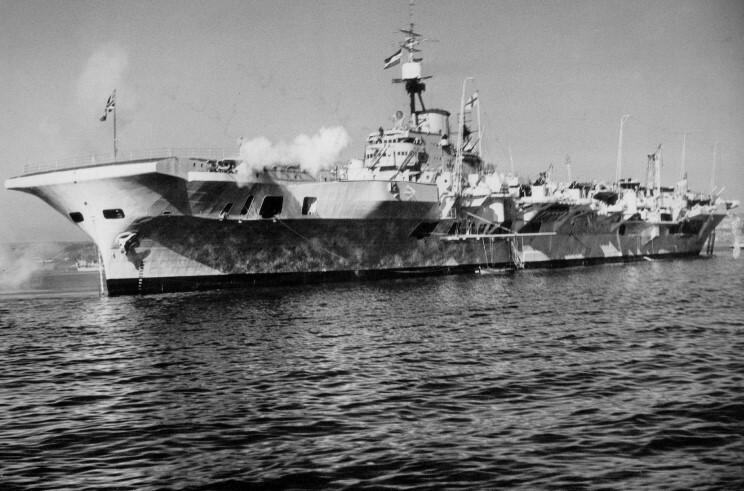 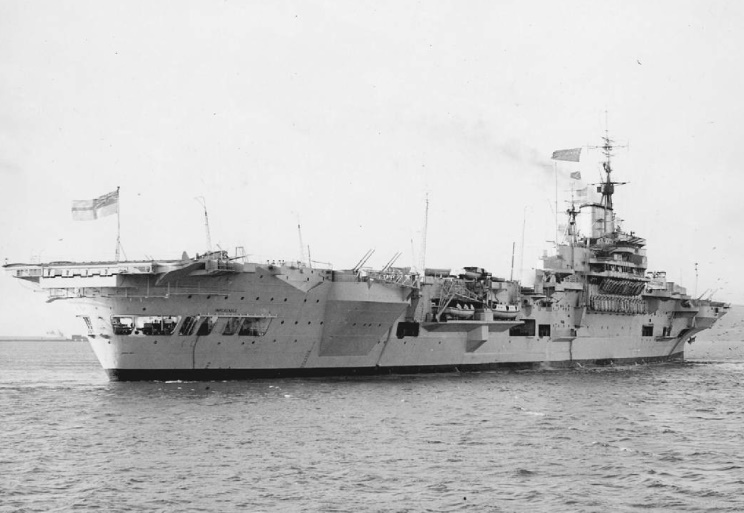 HMS Implacable seen in 1952. 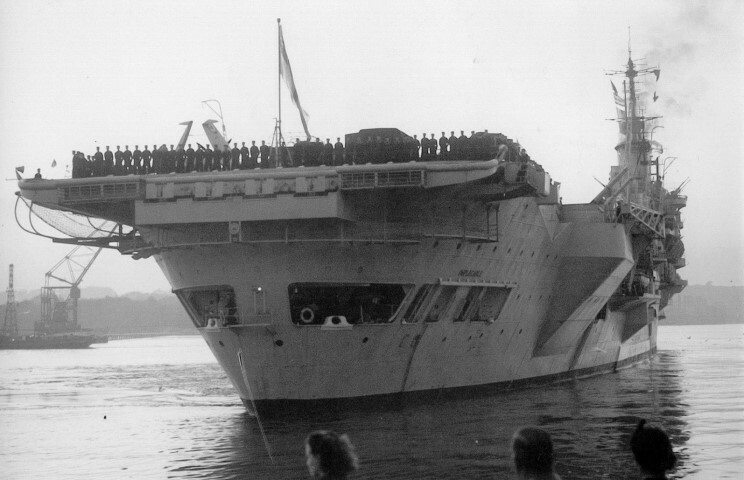 October 10, 1953: HMS Implacable departing Devonport, England.